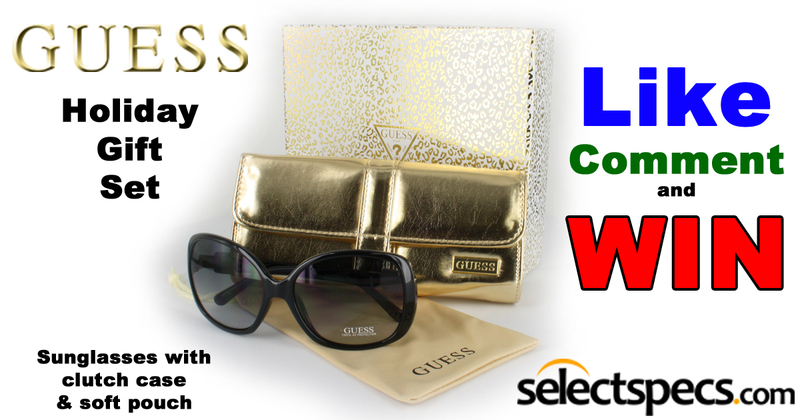 The Christmas holidays are almost here and to celebrate, we are giving away this awesome Holiday Gift Set by GUESS. These specially designed oversized sunglasses with diamond temples would make the perfect gift for any style conscience woman this Christmas. The come in a lovely presentation box and include a soft microfibre pouch to clean and store them in as well as a gold clutch bag that could be used for any occasion. And if you’re feeling extra keen to win… Share our competition photo with your friends. Competition closes at 5pm on Thursday 19th December 2013, so don’t hang about with this one. We’ll announce the winner over on our facebook page so make sure you are following us to see if you won. Sorry, but this competition is only for our UK followers, but don’t worry, there will be more competitions in the coming weeks, so do keep your eyes on our page.